I love all different sizes of weddings, but I have to say that small, intimate weddings hold an extra special place in my heart since my husband and I opted to have less than 20 people at our wedding (6 great years on September 14th!). Most intimate weddings tend to be a little more relaxed and because of the diminutive guest list; each person there plays a very important role in the couple’s lives and I usually get some wonderful glimpses of not only the couple’s life, but their loved ones as well…this was very true of Shawna and Jake’s wedding. Shawna and Jake found a hidden gem called the Levi Deal Mansion nestled in the Laurel Highlands for the location of their wedding. If you are planning an intimate wedding outside of Pittsburgh, it’s worthwhile checking this place out. Also, from the looks of the rooms and from Shawna and Jake’s reviews, this could be a nice place for an anniversary get-away as well. I thought that the toile duvet on the bed would make a lovely backdrop for Shawna’s flowers – I loved the light that the lamp was casting on the one part of the bed, so I used that for lighting to showcase the flowers. 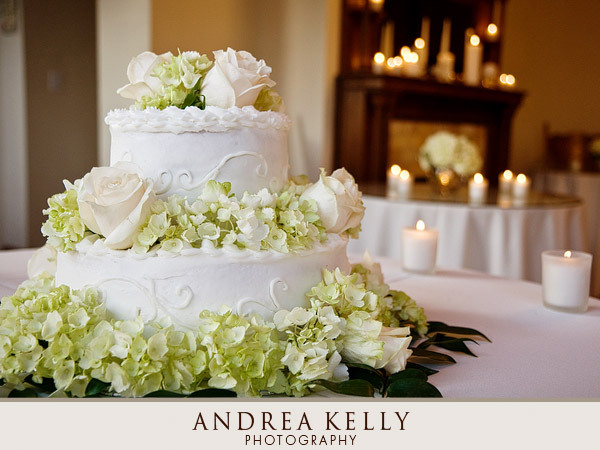 Shawna and Jake had masses of white candles in different shapes and sizes lighting the various rooms of the mansion – you can see several of them in the background behind the cake…it gave a very cozy look to the entire place. This image was taken during their ceremony while one of their parents were speaking – I love the closeness that you see in the way that they are holding hands and Jake has his arm around Shawna. I don’t often get the opportunity to do a romance session with my couple after dark, but because of the way that the light and darkness reveals and conceals, I think that the images have a very romantic look to them. With just a slight movement while taking these images back to back, the picture has a completely different focal point – in one, it’s Jake and in the other, it’s Shawna. There were several heartfelt toasts during the evening – this was taken as Shawna’s dad raised his glass to the couple. When I was talking with Jake, he mentioned that the date was selected because there was a full moon that evening. As I was leaving, the moon had finally climbed high enough that it could be seen nicely over the trees that were across the street. This is the type of view that Shawna and Jake would have seen out of their window from their room that evening. Hey Jordan! It’s great to hear from you, and thanks so much for the kind words…I enjoyed our opportunities to work together also. Hope that you’re doing well! Wow I had no idea you had a blog section. I just love it! Its really helpful to see what was going through your head while snapping the picture and how you feel about the overall outcome. Andrea Kelly is simply the best around. I am so honored and privileged to have worked with her. Keep up the great work! I first met with Sara and Peter a little over a year ago when we got together in Lititz to photograph their engagement session. From the start, I immediately saw how well they fit together and simply belonged with one another. They’ve been friends almost their entire lives, living down the street from one another from the time they were young. One of the really remarkable things that Sara told me was that each of them remember telling someone close to them way in the past that the two of them would marry each other some day. Talking with them before the wedding, I knew that there was an issue that was going to make the day a little bittersweet for them – Sara’s brother is serving our country in Afganistan and wouldn’t be able to be present for the wedding. Many times, we don’t necessarily value images as much in the immediate timeframe as we do in later years…however, in this case – where a loved one must be away, it really drives home how important these images are right now since it will be Sara’s brother’s only way to see everything that happened at his sister’s wedding. In the days leading up to the wedding, Sara’s dad was admitted to the hospital for emergency surgery and they weren’t certain if he would be well enough to be at the wedding either. Let me tell you, if there’s reason for someone to turn into a bridezilla, certainly this would have been one of those times. But, while her dad may have been pretty uncomfortable, luckily he was able to walk her down the aisle to Peter. As for the day itself – it was beautiful – it rained a bit as I headed to begin the day, but it cleared up and was lovely for them the rest of the day. The warmth of everyone was wonderful and the day was filled with amazing family and friends. And I’ve babbled on long enough – time to get to a few photos. I started the day with Peter – he was getting ready at his parent’s house. Even though men do far less than women to get ready, I enjoy the opportunity to get to hang out with them for a while when possible. From there, I went over to see Sara as she got ready. I love that she had her jewelry and details a placed nicely, ready for me to photograph. The little heart pin was Sara’s grandma’s and she placed it on the ribbon of her bouquet. Both Sara and Peter are involved in karate, and the room that Sara was getting ready in had a lovely Asian influence – I spotted this book (very loosely, tao te ching means “the path”) and I thought that it was fitting to photograph the shoes with it. Just love the way that Peter was looking at Sara here during the ceremony – it’s as if no one else in the world exists. This brought tears to my eyes – during the sign of peace, Sara went to hug her grand-dad…what beautiful emotion filled seconds…these are the type of moments that make my job so rewarding. So many times, due to the location of guests, my ability to get really great photos during the sign of peace is hindered – I’m especially happy to have captured these images. Everyone in the wedding party wore pins in honor of Sara’s brother, Matthew, who is serving our country with the National Guard in Afghanistan. How very tiring it is to be a flower girl. When we went back to Sara and Peter’s house between the ceremony and the reception, she took a nap curled up on Sara’s lap. Sara and Peter’s newest addition to their family – look at those eyes. Isn’t he beautiful? I have a lot of loving photos of the two of them, but think this is cute because it shows that they have a lot of fun together too. The grounds at Genetti’s were lovely and we had a great time taking photos in a few different locations. This just makes me smile every time I see it…love the energy of this little boy as he springs in the air while dancing! Great work, Andrea! What a GORGEOUS dog!! I relaly like the shot with all the bling! I first met Alycia and Justin a little over two years ago when I photographed Justin’s sister’s wedding – Alycia and Justin were dating at the time and I can remember them as being a fun couple out having a great time on the dance floor during the reception. When we talked about where we would go to do their engagement shoot, I suggested going around the Pitt campus near Heinz Chapel and the Cathedral of Learning so that we could feature both nature and architecture – there’s plenty of both within just a few blocks. It was calling for rain…but as is typical of my photo shoots, it held off. We were walking to Starbucks after we finished the shoot so that we could get a drink and talk a little more – as we neared Starbucks, it started pouring! But, it held off during the time that was important. They were such naturals in front of the camera and I can’t wait until their winter 2009 wedding! Even in some of our first photos, they were relaxed, laughing and having a good time. While most people would think that this image was posed so that I could show off Alycia’s ring, it wasn’t. I grabbed this shot while they were talking and holding hands. A little later in the session, Justin mentioned about getting a photo with the ring and I told them that I already had it and showed it to them. They look so great together…I can see this image as their “newspaper photo”. Although I’ve photographed in the area a few different times, I always try to find new places or new ways of photographing the same area – this was a place that I spotted when we were walking and so we stopped to use it. And two more images from an often used place – I took a combination of some of the frequently photographed ways of showing off the architecture and also looked for some ways that may not be featured as often. Already have some ideas in mind for how I’m going to do their guest book layout…it’s going to be beautiful! Alycia and Justin – thanks for hanging out with me that morning…can’t wait for your wedding. Looks like a great location for an e-shoot!! I Have Been Telling Lots Of People , How in the last Year. I have at last Learned How to Use The Computer. Today Without a doubt, is the best day ever, to know how to get to your Website . The Slide Show Is Fantastic!!! I cannot stop Looking at The Show And Crying . Thanks For Capturing Molly & Jays Beautiful Wedding Day . So They Can Look back and Enjoy it Forever. When I saw the first pictures you posted, I was impressed! But when I saw the slide show, Wow!! I can hardly wait to see the rest of the photos. As everyone has told me, they day flies by. But you have a way of stopping time, so that moments that seem fleeting are captured forever. What more could Molly and Jay have asked for? Thank you so much for your unique way of preserving moments in time. 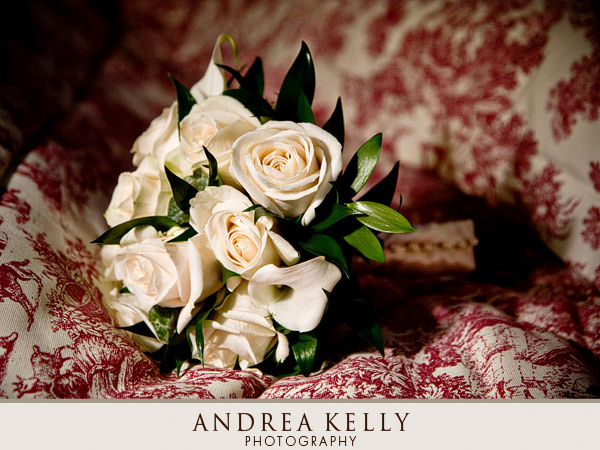 Andrea: The pictures look absolutely amazing!! It just blew us away how you are able to capture every little detail, along with all the special moments during the whole day! All of the emotions of our wedding day comes across in the photos. We are so lucky and thankful to have found an amazingly talented photographer! Thank you so much and we cannot wait to see more! Molly and Jay were married at the historic landmark First United Methodist Church in Pittsburgh and held their reception at The Circuit Center. The day was just lovely with a gorgeous sky to help showcase the exterior of the church. My assistant and I arrived a little before Molly and with the help of one of the volunteers at the church, we cleared out this area in the bridal room. I didn’t take a “before” photo, but it was totally worth the time and effort that we put in to prepare this for photos. I love when my couples exchange gifts on the wedding day and I’m able to document those moments. Jay surprised Molly with a lovely present from Tiffany’s. Most of my brides allow me to stay back with them to document the last few moments they have between dad and daughter as a single woman – sometimes I capture nervous looks toward one another, other times I see loving gestures and talks, and others, I see the bride hiding her dress by steping behind her dad as a last minute guest enters the church. This moment was captured right after Molly and Jay exited the church and were waiting for their guests to file out. I encouraged them just to enjoy being together for a few seconds since the day goes by so quickly. From the church, we headed over toward Schenley Park to get a few more photos. The guy at the merry-go-round was kind enough to let us jump on for a few seconds to get a couple photos…sometimes it’s amazing what people will do for you or let you do if you are in wedding attire! Rarely do I showcase group photos…while a few group images are important with every wedding, sometimes it’s difficult to get people to just let go and enjoy being around each other when a camera is pointed their direction. Molly’s girls did a great job when I encouraged them to chat amongst themselves…really enjoy this type of group photo since it helps to tell the story of what the day was really like – laughter, smiles, and chatting. Molly and Jay did a beautiful job with their decoration choices at The Circuit Center using red and black as their colors. Though you can’t see it in this photo, they had the side lights gelled to cast a reddish glow throughout the room. While the flowers aren’t the feature in this photo, you can see in the background that they had beautiful tall arrangements and they alternated with red hurricane style shaded candles and red glass votive holders. So, apparently, my brides have learned a bit about my love of shoes, and lately, they have been wearing not just one, but two beautiful pairs during the day, which of course, gives me more to photograph. These were Molly’s reception shoes – love the red! LOVE her shoes!! You can’t go wrong with red shoes! You have a wonderful and magical way of capturing such beautiful moments of an amazing day. Each and every detail has been captured and I cannot wait to see the exquisite work you have produced for our couple. I applaud not only your artistic sense but also your compassionate sense as well.. It is evident you have found your special gift . Thanks for sharing ! I will be sure to pass your name and work to our future couples for consideration. KS Kennedy Distinctive Floral .. The pictures look amazing Andrea. . . It was great working with you and I am sure our paths will cross again soon. . . Great work! © 2019 Andrea Kelly Photography – Pittsburgh Photograher – Wedding, Maternity, & Newborn photography|ProPhoto4 Blog by NetRivet, Inc.